MIT’s Gordon Wetzstein showed an image using stacked LCD screens to create a 3-D effect, without glasses. CAMBRIDGE — A couple of decades ago, holograms seemed futuristic and cool, a next-generation visual medium that promised to transform how people watched television and movies and whose inventor won a 1971 Nobel Prize. Then they began to seem more fusty than fantastic, commonly used as anticounterfeit watermarks on credit cards and driver licenses. But today, with the resurgence of interest in 3-D in movies and consumer electronics and the continued evolution of cameras and computational power, holography is poised to enter its second act, supporters say. This week, when 150 artists, scientists, and engineers gather at the Massachusetts Institute of Technology for an international conference devoted to holograms, they will not be discussing history; they will be talking about the cutting edge of a technology that is once again stirring excitement. The International Symposium on Display Holography will include sessions dedicated to new techniques and materials, digital methods, and art. It will highlight some of the applications for contemporary holograms, which include maps for the military, creation of fine art, and the development of prototype screen- display technologies that could be used to provide 3-D entertainment, without the glasses. The conference also provides a window into an unusual area of technology whose path has been shaped by a back-and-forth between scientists, artists, and engineers, which will also be the subject of a new exhibition opening at the MIT Museum on Wednesday. The excitement over holograms peaked in the 1970s and ’80s, said Sean Johnston, a professor of science, technology and society at the University of Glasgow in Scotland. But they have had surprising staying power after the initial hype receded, he said, because of a simple fact: Unlike technologies that become obsolete when a new generation of smaller, more stylish, or faster gadgets come along, they will not be outmoded because they reproduce the world exactly as we perceive it. That is seen as an opportunity by people who are trying to build the next generation of display technology: a more realistic 3-D that does not require special glasses and whose image is closer to reality, providing a slightly different view depending on where a person sits. 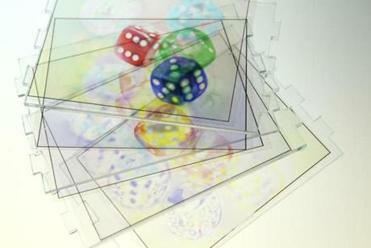 Layers of transparencies create a 3-D effect. V. Michael Bove, head of the object-based media group at the MIT Media lab and cochair of the symposium, is developing a form of video holography in his laboratory. Last year, his group filmed a scene with the Kinect, a camera used with the Microsoft Xbox, and sent the live stream over the Internet to their prototype holographic display. In a nod to “Star Wars,” perhaps the most famous depiction of holograms in the popular consciousness, they filmed a graduate student wearing a Princess Leia outfit. Now, he said, his group is developing a desktop-monitor-sized display that could be made cheaply, in full color, to display video holography. They will present results of that work and the results of experiments that tested human perceptions of holographic video. Gordon Wetzstein, a postdoctoral associate at MIT, and colleagues will present aspects of a display technology that is not a hologram, but uses stacked LCD screens to create a 3-D effect, without glasses. “We’re not trying to replace holography,” Wetzstein said, but instead are building technologies that do not require as much computing power and memory as true holographic video. “The idea here is there’s lots of data you want to display, but it’s compressible,” so a 3-D experience could be emulated without needing as much computation — similar to how photo file formats compress visual information in digital photos. Zebra Imaging, an Austin, Texas, company founded by MIT alumni, has worked with the military to create maps that recreate a cityscape and can be viewed without special glasses. They offer a service that enables people to print out holograms, for as little as $250. 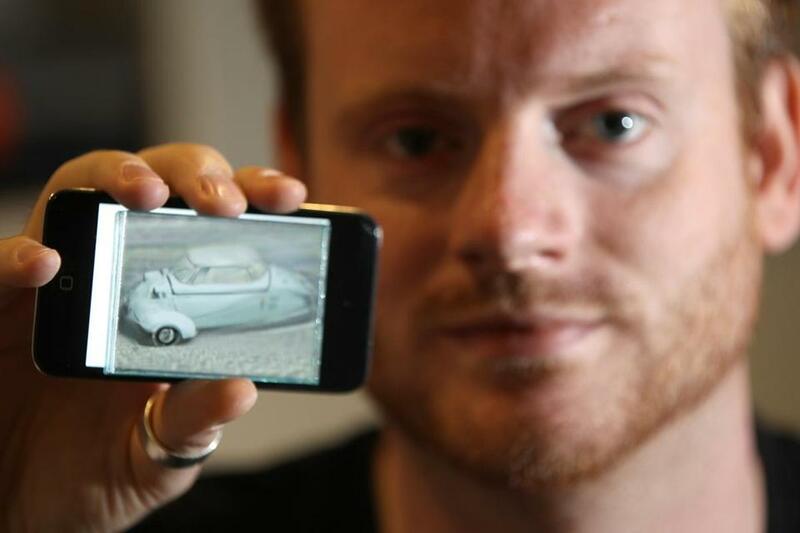 Michael Klug, a cofounder of the company, said that when it was founded in 1996, one of the early ideas was that automotive engineers could use holograms to depict new concepts and designs. The company attempted to focus on advertising, but found that although printing holograms was technologically feasible, the advertising world was not ready to take advantage of the methods. After 9/11, the company began working with the military, creating highly detailed 3-D maps of villages and rugged terrain in Iraq and Afghanistan. Today, Zebra Imaging produces large sheets of holograms that can be sent to troops and used like maps. “They can use them very intuitively and gather people around this map; they can see it in 3-D and they can understand exactly the situational awareness. the potential hazards, and make plans,” Klug said. The company has also developed prototypes of more interactive displays, and Klug sees other applications with medical imaging data, and — eventually — in the living-room TV. “I think that people have, ever since ‘Star Wars,’ they really want to have this floating visual representation of reality there,” Klug said.